Parents often wonder how much food should their little ones (1-2 years old) be eating. Recent media coverage suggests over the past 20 years, restaurants and food companies have been increasing their serving sizes. This trend is considered to be a contributing factor in the rise in obesity (among adults and children). We all know that children should eat less than adults. After all, they are smaller. The following are some serving size guidelines for a 1-2 year old that may help you out. Milk/Dairy: Servings: 16-20 ounces of milk per day. Whole milk, soy or rice milk are recommended. Other equivalents: 1/2 -3/4 ounce of cheese = 4 ounces of milk. 1/4 cup of yogurt = 2 ounces of milk. Fruits and veggies: Servings: 5 or more per day. Serving size: 1-2 tablespoons - Pureed, mashed, or cubed. Grains: Servings: 3-4 per day. Serving sizes: 1/2 slice of bread, 1/4 cup of cooked cereal, 1/4 cup of dry cereal. 1/4 cup of pasta, 2-3 saltine crackers, or 1/2 tortilla. Non-dairy Proteins (meat, fish, beans, eggs): Servings: 2 per day. Serving sizes: 1/2 egg, 2-3 tablespoons beans (i.e. black, pinto, edamame, etc...), 1 tablespoon peanut butter, or 1 ounce of fish, lean beef, pork or chicken. 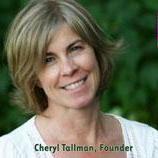 About the author: Cheryl Moellenbeck Tallman is the Founder and CEO of Fresh Baby (www.FreshBaby.com).Since Starting Fresh Baby in 2002, Cheryl Tallman has been honored with many prestigious awards, and is a US Department of Agriculture National Nutrition Education Strategic Partner. As the head of product and content development for her company, Cheryl develops innovative products and authors materials that inspire parents to raise healthier children. She serves as both a parenting and cooking expert for many high-profile online communities. Cheryl's ultimate vision is to make the task of raising a healthy eater easier for all parents.